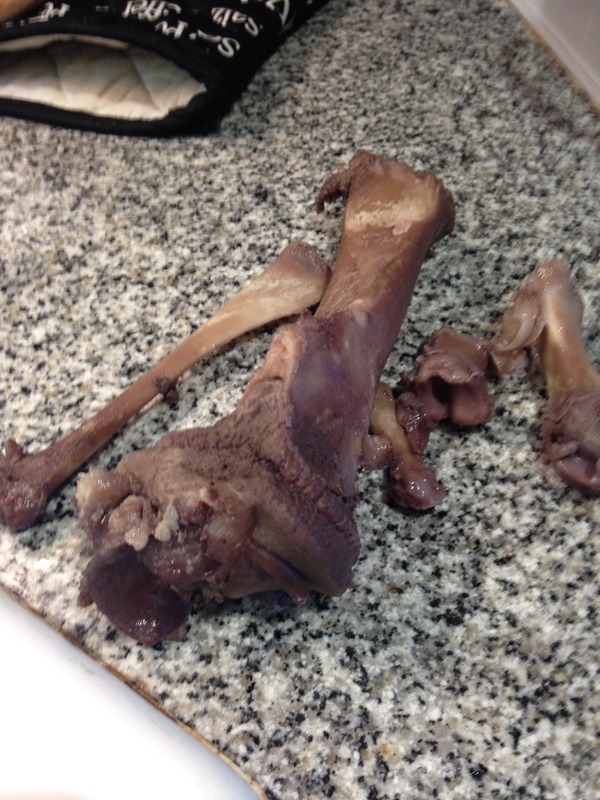 You Say Bones, I Say Feijoada! We have a new picture headlining our blog this week, a chalk drawing by Demian Maya created at the San Diego Natural History Museum. 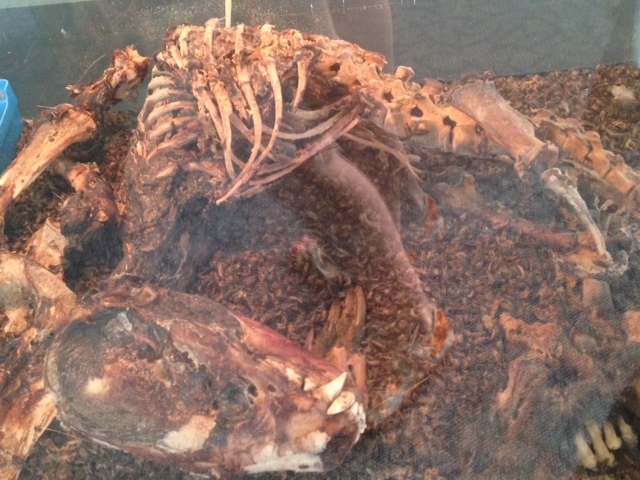 They currently have an exhibit entitled Skulls containing nearly two hundred skulls from around the world. Demian’s there right now with Gabriela, Helena, Yuri and Thais, sending photos of the various skulls, while I gather bones and meat for my favorite Brazilian dish. 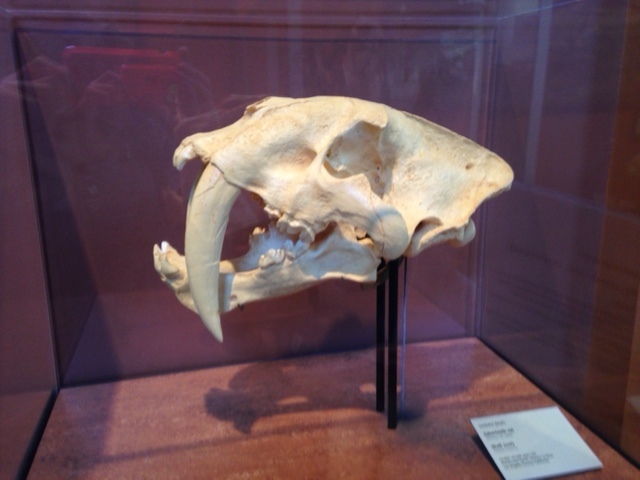 Here’s the skull of a Saber-Toothed Cat. 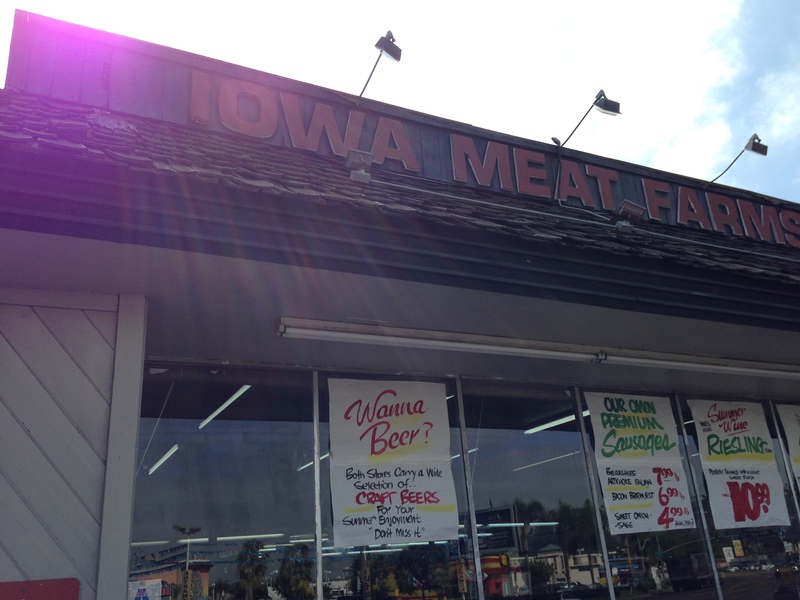 And here’s Iowa Meat Farms on Mission Gorge Road, fifteen minutes outside downtown San Diego. 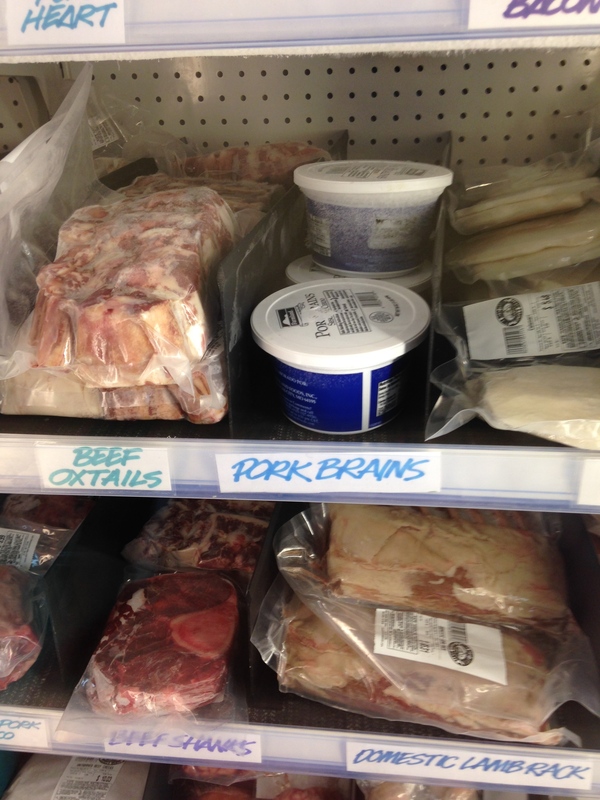 Let’s just say that a store offering pork brains is my version of home-sweet-home. 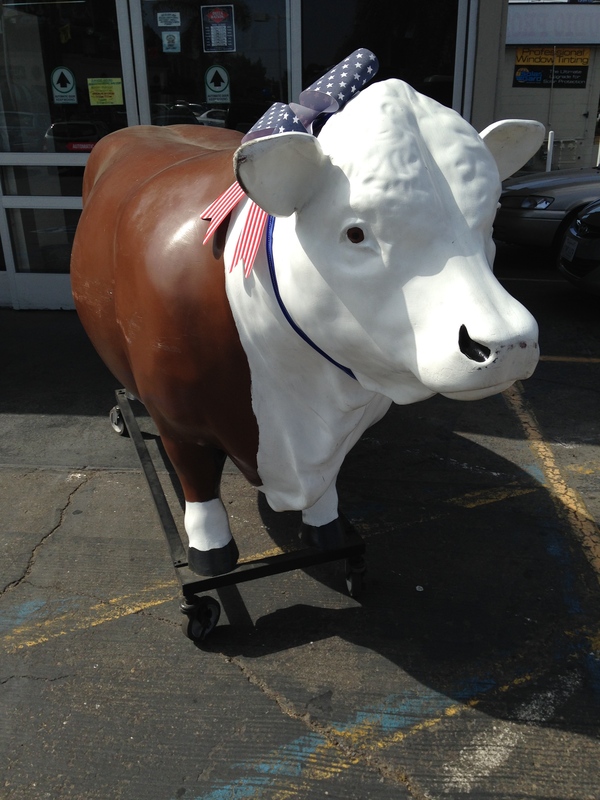 They have everything, and by everything I mean duck fat, wild boar sausage, venison sausage, pig feet and shanks and jowl, dry-aged beef, ostrich, elk, deer, osso buco, beef tongue and more. I feel slightly Paleolithic, in a twenty-first century way, as I pull and push through the various stack of animal parts, shopping for the exact bones for my feijoada. After about a half-hour, I proudly walk to the cashier with two pig feet, a shank, jowl, and linguisa and wild boar sausage. 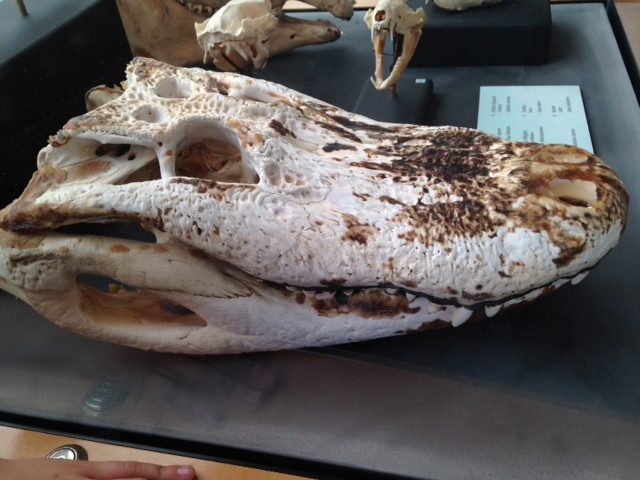 Meanwhile, Gabriela and Demian have texted an alligator skull. Back at Jordi and Helena’s apartment, I set out the pig parts to defrost and then leave again for Jimbo’s, a Whole Foods-style store within walking distance, to buy three pounds of black beans and some other goodies. Have I mentioned it’s always a sunny mid-seventies in San Diego with a cool breeze off the Pacific Ocean? Where’s the humidity? Strangely, I don’t miss it. 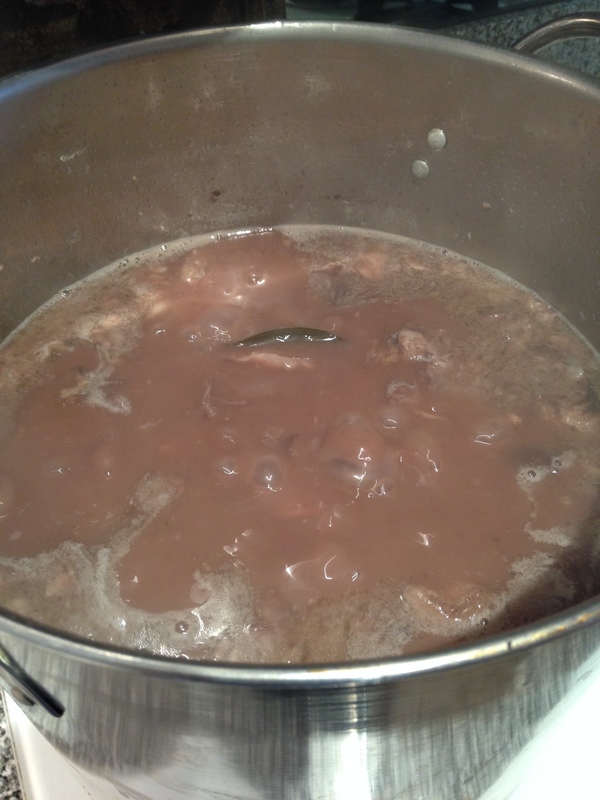 Returning to the apartment, I begin the feijoada process. 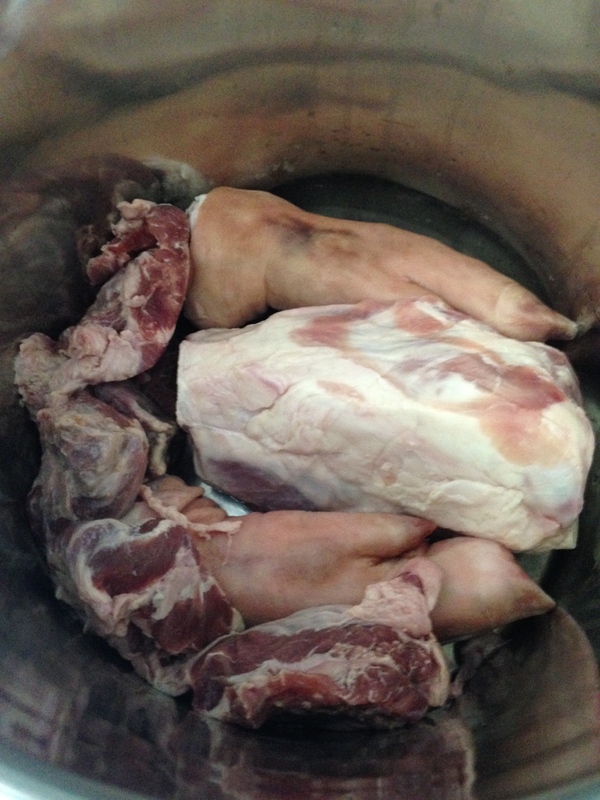 I place all the meats in a pot and set the gas burner for a slow boil. 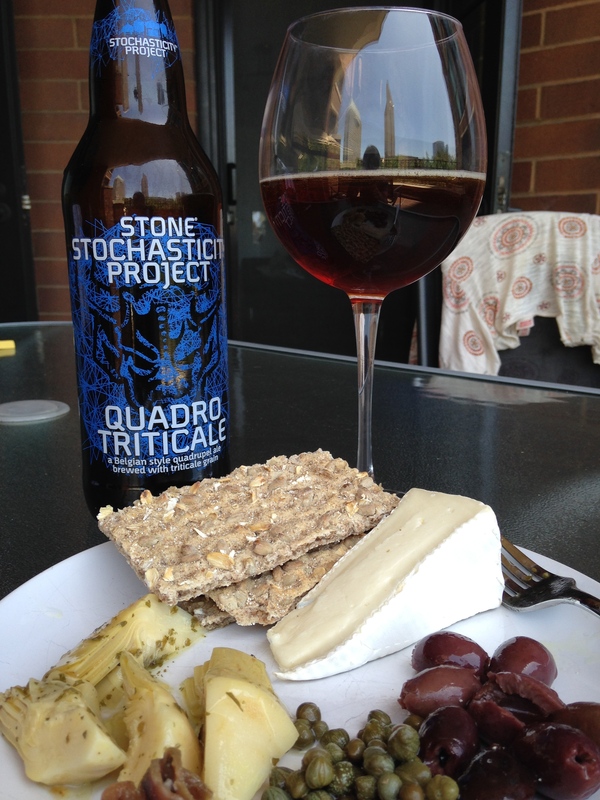 Stone’s version of a Trappist ale has dark fruit, pear and bread on the nose, followed by figs, dates and rye on the tongue, followed by a sweet candy finish. It’s very creamy in the mouth and pairs up well with brie, artichoke hearts, capers and kalamata olives. Meanwhile, the boy sends more bones. Except this time, an animal decomposing with a little help from some beetles. Well, this seems like a good place to sign off for now. Tomorrow, I’ll continue the feijoada and bone adventure and see where it takes us.